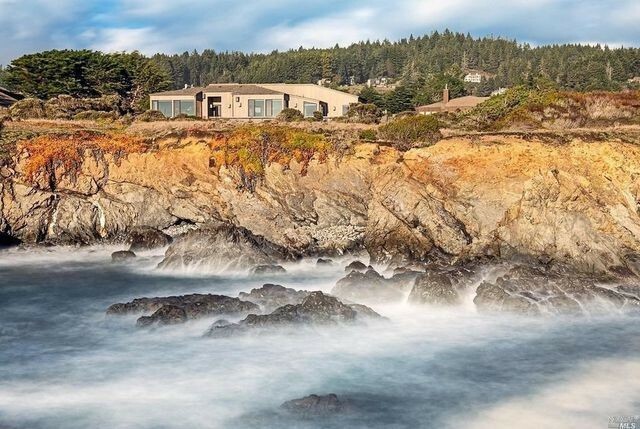 Along a 10-mile stretch of rugged Northern California coastline sits a unique planned community that combined social and environmental idealism with modernist architecture. 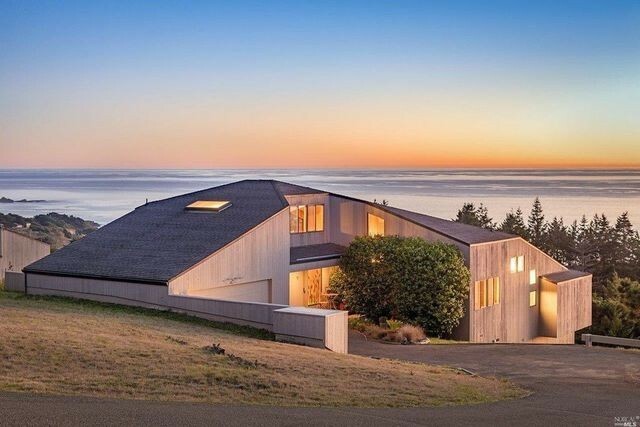 The lofty ideals may have mellowed since its establishment in the 1960s (it’s hard to keep up with a utopia, after all), but with its gorgeous location, Sea Ranch has become a popular vacation destination—and a highly sought-after place to buy a home. The community’s master planner was Lawrence Halprin, an innovative landscape architect inspired by kibbutz living who envisioned a group of clean-lined buildings that would visually blend with their environment and have minimal impact on it. Architects Charles Moore, Joseph Esherick, William Turnbull Jr., Donlyn Lyndon, and Richard Whitaker took inspiration from the wild surroundings as they designed the original wood-and-glass buildings. A list of Sea Ranch Principles displayed in the exhibition tout “rural, not suburban”and “simplicity not flamboyance.” The development mix includes community-oriented condominiums, single-family residences, carefully preserved open spaces, and common buildings, including a general store and a restaurant. No golf courses, McMansions, or suburban sprawl here! “The environmentally attentive design philosophies explored at The Sea Ranch, along with the now-iconic graphics, resonated globally and continue to influence architecture and design today,” the exhibition website notes. 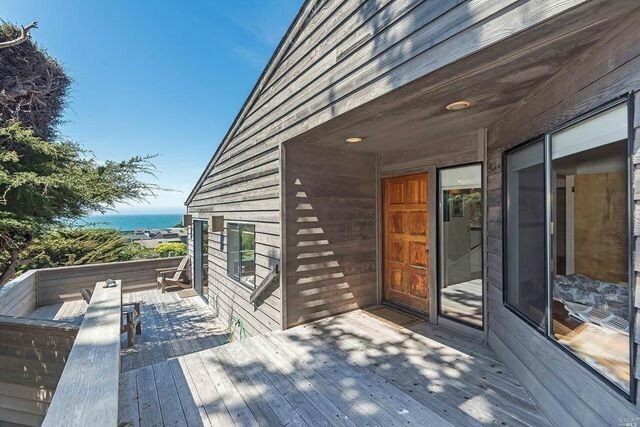 For those who want to buy at Sea Ranch, simple, modernist homes—now perfectly weathered—that take advantage of the ocean views are still available. Here are nine of them on the market right now. 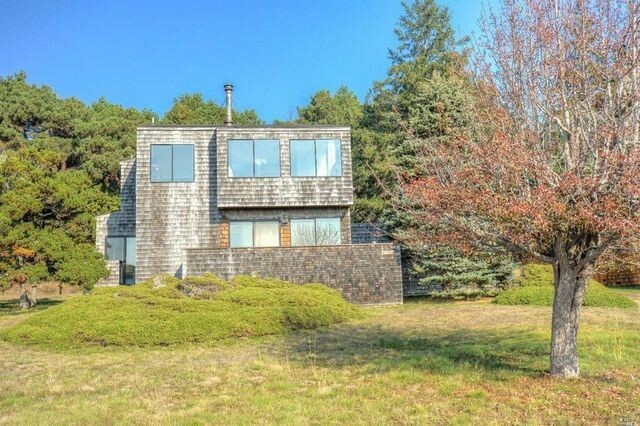 Utopian ideals: Built in 1978, the award-winning Don Jacobs–designed home is located on a hillside row of Jacobs’ designs, according to the listing. Along with a “gentle remodel,” the home offers panoramic ocean views, a new kitchen, and outdoor garden and deck space. 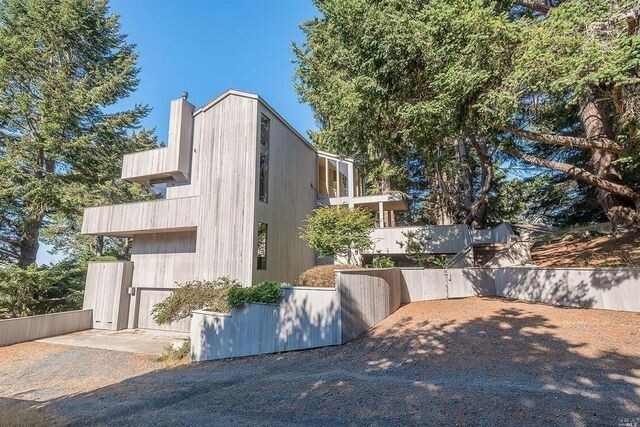 Utopian ideals: The Hines house, one of the first private residences designed by MLTW-Moore/Turnbull with William Turnbull Jr. as lead architect, is on the market for the first time since 1972. Originally offered last February for $2.45 million, the price has been cut to its current ask. The home has varying levels of interior space that coordinate with the slope of the hill where it sits. Redwood and Douglas fir siding also help the home blend with its surroundings. A vertical terrace connects the common areas and the bunkhouse. 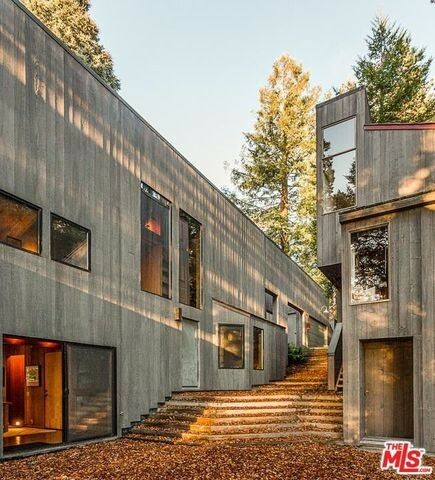 The iconic Bay Area property won the Sunset/AIA Home of the Year Award in 1970. Utopian ideals: Built in 2004, the custom ocean-front property offers one-level living around a courtyard. The 2,345-square-foot space includes three beds, two baths, and one half-bath. The home is being sold turnkey, including “high-end furniture” and wool rugs from New Zealand. Utopian ideals: The contemporary design from 2008 includes a second master suite addition in 2018. Located on 3.69 hillside acres, the place offers views of ocean and coastline. Along with the two bedroom suites and three full baths, features include a kitchen with quartz counters, solar power, and a one-car garage. The home is sold with designer furnishings included, per an inventory list. Utopian ideals: Floor-to-ceiling windows frame the views from the large living room. Along with a chef’s kitchen, the layout features slate and hardwood floors, plus a master bedroom offers south coastline views. Utopian ideals: The multilevel retreat overlooks Black Point and Pebble Beach. Enjoy ocean views from the living room, dining room, and kitchen with an adjoining oversize deck. The master suite offers ocean views, with a private deck and luxe bath. A guest wing offers views, a deck, and hot tub. Utopian ideals:The two-bed, two-bath home with ocean views could be your second home or an investment property. The property is located within walking distance to the Ohlson Recreation Center for swimming, tennis, and a library. Utopian ideals: Set back from the ocean, the 1989 cottage offers two beds, two baths, and one half-bath. The inverted floor plan showcases a great room with window seating to gaze out at the natural and water views. Utopian ideals: The 1973 build is perched on a ridge among the redwoods. The three-bed, two-bath layout has an upstairs living space with skylights and a large deck off the dining area, with bedrooms downstairs. 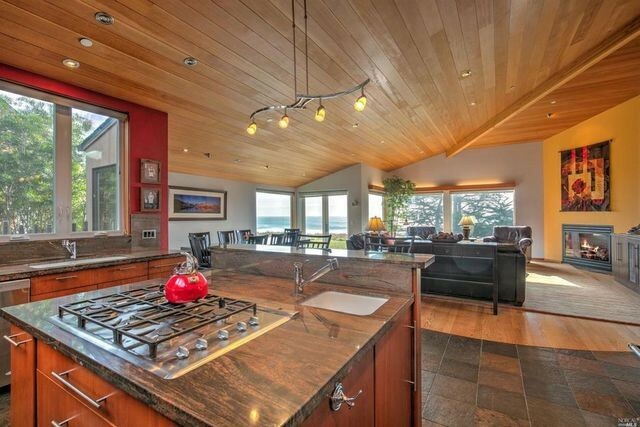 Details include wood paneling, vaulted ceilings and exposed beams, and large windows. 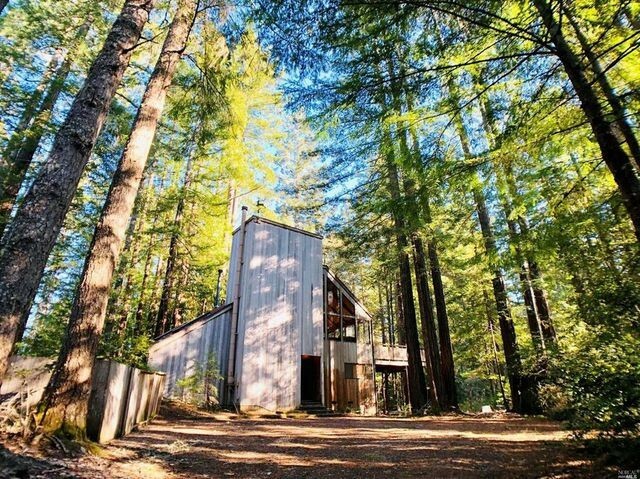 The post Own a Piece of Utopia in Northern California’s Sea Ranch Community: 9 Homes for Sale appeared first on Real Estate News & Insights | realtor.com®.